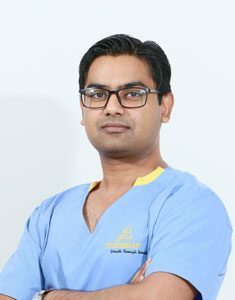 Dr. Satyavrat Arya is a dynamic oral and maxillofacial surgeon with extensive experience in the field of Dental implants, facial trauma and bones correction surgery, jaw joints treatment, and minor oral surgical procedures. He did his training (MDS) in Oral And Maxillofacial Surgery from All India Institute of Medical Sciences, Delhi, which is the most prestigious institute in India. He gained further experience in facial plastic surgery from Safdarjung Hospital, Delhi, India, known for treating most complex cases and treating the highest number of patients in the whole Asian region. He further enhances his academic foundation from the University of Kentucky, USA and was awarded fellowship in Jaw joint disorders and sleep apnea. Inducted as Fellow – International college of dentists with prestigious M. L. Soni Oration award for continued contribution towards the society. Dedicated interest in dental implants and practice of complex implantology have led him to place and restoring over 5000 implants and is continuing. His focus is to provide balanced treatment to the patients to achieve the best aesthetics and functionality. 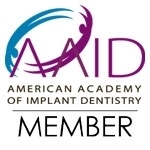 Dental rehabilitation with implants, single to full mouth.